Fiat 500 Alloy Wheels Silver & Black Alutec Poison 16"
practical, being constructed in such a way that they are easily cleaned and maintained. as well as meeting the legal standards and certifications. the following years, the capacities were continuously expanded including the acquisition of a modern painting plant. providing our customers with plenty of choice when it comes to styles, colours and pricing. Includes standard 12 months limited warranty! Please check your model Gross Vehicle Weight GVW before ordering these wheels. There was a time when alloy wheels for vehicles didn't exist. Then due to Load Rating rules only extremely expensive or ugly wheels with large thick spokes could be found. 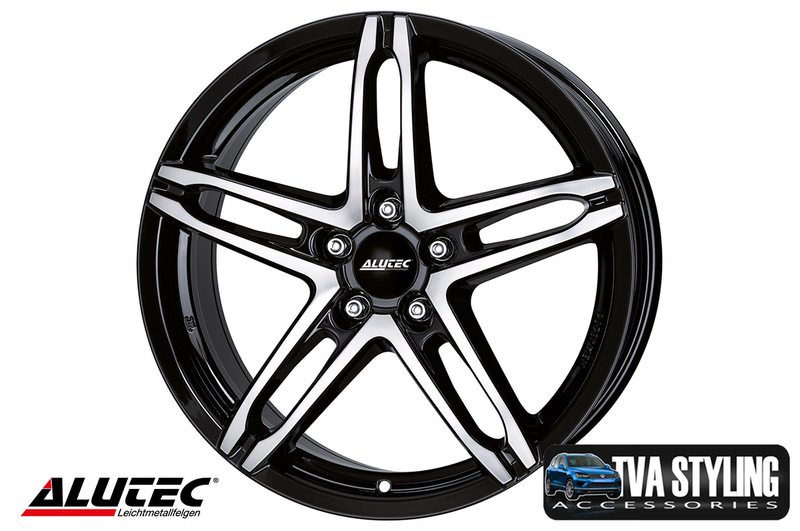 But now, thanks to advances in manufacturing techniques and the dawn of quick global sourcing we at TVA Styling are able to present the highly desirable range of alloy wheels. Click the button below to add the Fiat 500 Alloy Wheels Silver & Black Alutec Poison 16" to your wish list.